The New Testament authors repeatedly referred to themselves as eyewitnesses, even if they did not make overt statements including their names. In the last chapter of John’s Gospel, the author tells us he is testifying and his testimony is true. Language such as this presumes the author has seen something he can describe as eyewitness testimony. In addition, the authors of 1 John and 2 Peter identify themselves as eyewitnesses who directly observed Jesus, and were not inventing clever stories (1 John 1:1,3 and 2 Peter 1:16). While Luke clearly states he is not an eyewitness to the events in his gospel, he does tell us he is relying on the true eyewitnesses for his information (Luke 1:1). These cumulative statements are consistent with the notion the authors of the Gospels saw themselves as eyewitnesses who were recording history. This is consistent with the way these authors behaved in the Book of Acts. It’s interesting the strategy used by the apostles to share the truth of Christianity was consistent with their role as eyewitnesses. When the apostles chose to share what they believed with the unbelievers in their midst, they did so by proclaiming the truth of the resurrection and their own status as eyewitnesses. This is consistent throughout the Book of Acts. The apostles identified themselves as eyewitnesses, shared the truth as eyewitnesses, and eventually wrote the Gospels as eyewitnesses. The earliest writings of the church fathers simply confirm the eyewitness nature of the Gospel authors. Papias, for example, described Mark’s Gospel as a record of Peter’s teachings related to what Peter saw and heard from Jesus. According to Papias, while Mark was not himself an eyewitness to the events described in his Gospel, he did accurately record the firsthand experiences of his teacher and mentor, Peter. Finally, the Canon of Scripture reflects the eyewitness nature of the Gospel accounts. One of the primary criteria for the selection of the Canon was the issue of eyewitness composition. 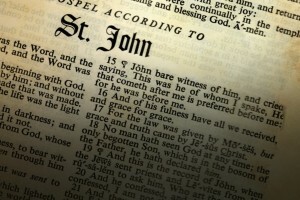 The original Gospels were protected and revered based on their apostolic authorship, and late documents were rejected by the early Church Fathers based on the fact they were considered to be fraudulent narratives offered by authors late in history who were not actually present for the life and ministry of Jesus. The criterion of eyewitness authorship became foundational to the selection process. A straightforward reading of the Book of Acts reveals the apostles saw themselves as eyewitnesses. The early Church recognized this and formed the Canon around the historic, apostolic record related to Jesus. While features of the Gospels may still be challenged by those who deny the eyewitness nature of the texts, the best inference from the evidence is the Gospels were intended to be eyewitness accounts.